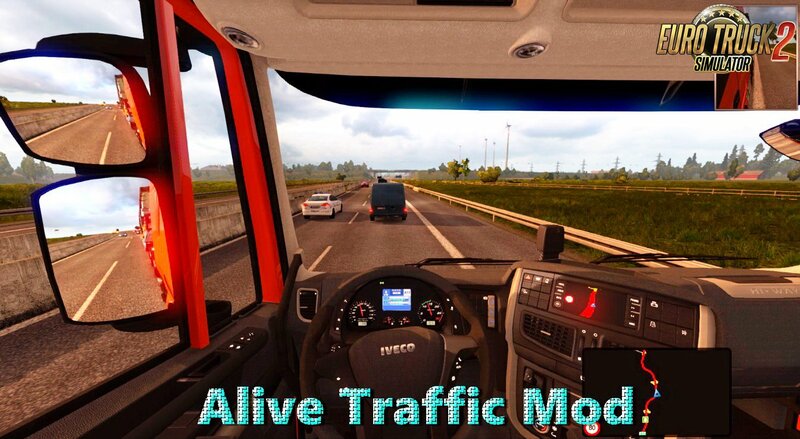 Alive Traffic Mod v1.2 (1.27.x) for Euro Truck Simulator 2 game. 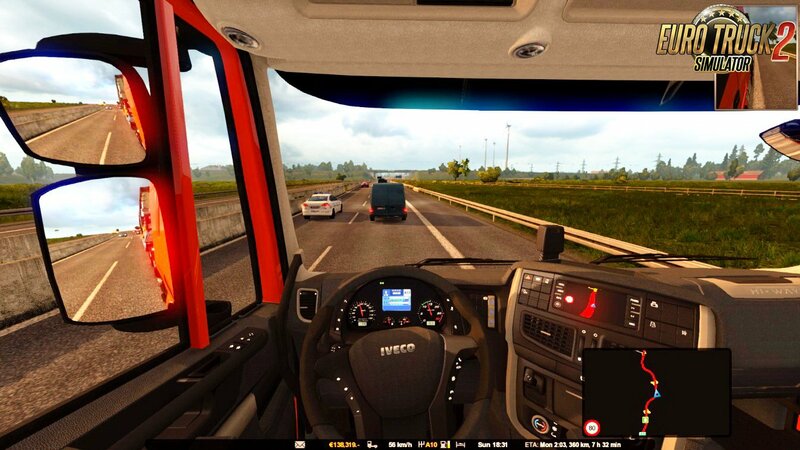 Reduced AI trucks’ engine torque for their realistic acceleration rate. – Real life traffic experience where vehicles have speed variation depending on what kind of drivers for example; cautious people would not go over 90 km/h, lost tourists finding their way at 60 km/h, or a granny who barely sees beyond 20 meters driving at 45 km/h !!! Don’t worry, there are plenty of rich young drivers with their luxurious cars daring the devil at over 130 km/h. – Challenging traffic where you need to overtake the slower vehicles on 2 lanes roads from time to time just to make your urgent delivery. This mod set vehicles in 3 categories, Fast, Medium, Slow vehicles according to their looks but in balanced quantity between the categories. 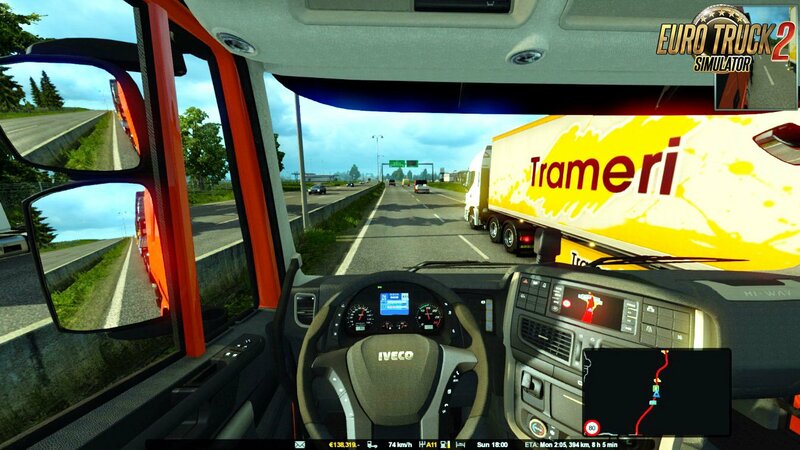 – Trucks’ top speed = Randomly between 60 – 90 (to simulate variation of their load weights). – Buses’ top speed = 80 km/h because they are responsible for the passengers’ lives. – Cops’ top speed = Randomly between 60 – 120 km/h because some of them are on a routine patrol, some are responding to an emergency, some are just …. eating hamburgers. Now the cops stay with you a little longer instead of gone in 2 seconds as before. – According to my observation, most slow vehicles try to drive on the slow lane and let you overtake them wherever they can, but of course just like in real life, there may be some nasty drivers who think they own the road. And that’s not because of my mod, this mod is using the vanilla ai safety behavior. 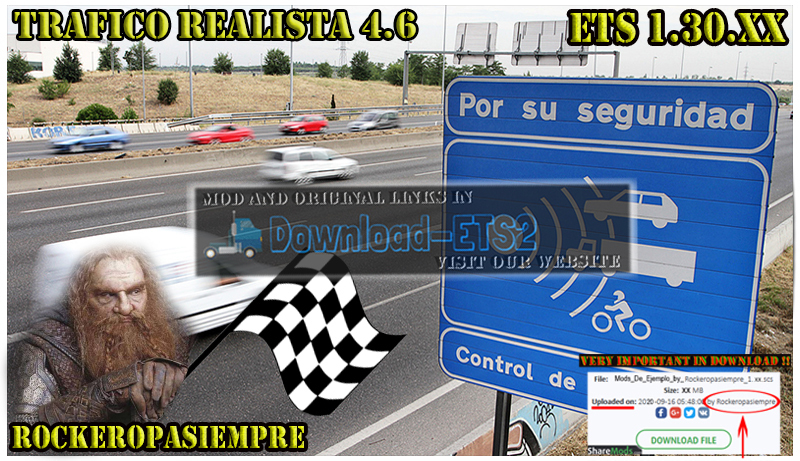 – This mod is made for the game patch 1.27 and may or may not work with the eariler patches. – It may require some official map DLCs ( i am not sure ) because i have all the maps and i suspect that some new cars may come with the DLCs. – It should be OK with any other mod that does not touch vehicle speed. 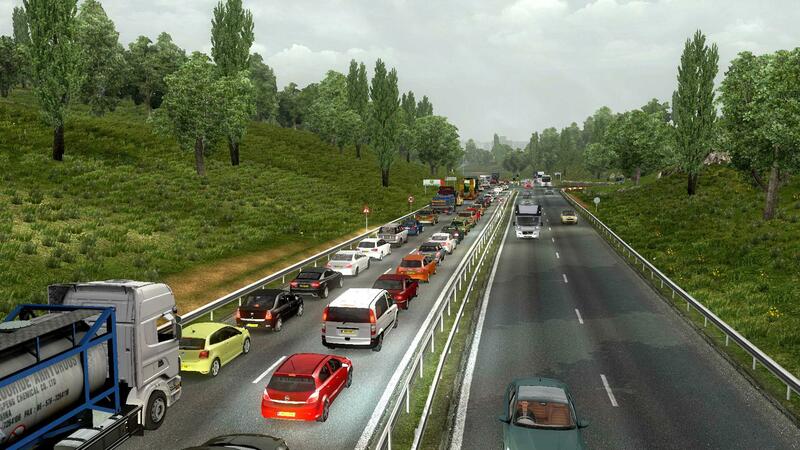 – This mod does not touch anything else other than the vehicles’ top speed and set max vehicle count to 100 (vanilla 50). So if you see something strange, it’s not from my mod. 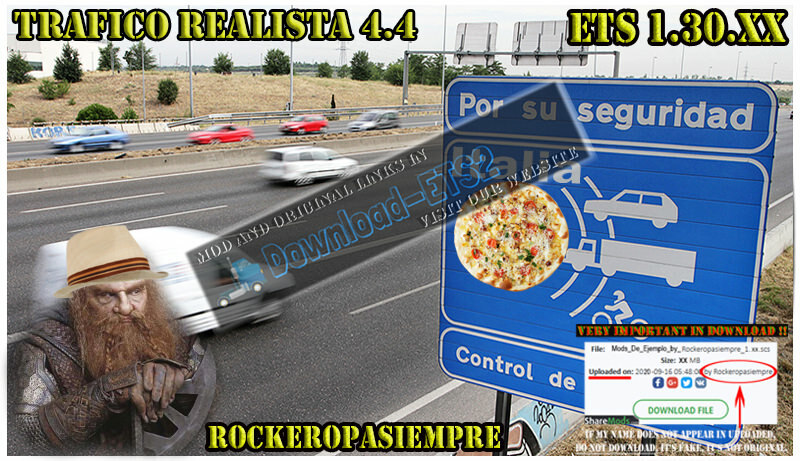 – I have tested with 1.27 working perfectly and it really changes the game’s driving feeling.